In Chicago, beer is more than just a beverage — its history is part of what gives our city its unique flavor and identity. Brewing Up Chicago: How Beer Transformed A City is The Chicago Brewseum’s first exhibition, hosted at the Field Museum. The exhibition is presented in four sections and views Chicago’s 19th Century urban development through the lens of its brewing industry, and by extension, the immigrant community who built it. From the city’s founding in 1833 to the Columbian Exposition sixty years later, the German-American community evolved from strange ethnic outsiders to respected citizens essential to the fabric of the city’s existence. By telling the story of the immigrant experience in 1800s Chicago, we make modern day and personal connections for a broad and diverse audience. By presenting a beer narrative that has never been told before, we illustrate how beer is more than just a beverage and a strong cultural force capable of building community and making change. Brewing Up Chicago: How Beer Transformed a City was organized by The Chicago Brewseum. Read about the exhibition in the Chicago Tribune and TimeOut Chicago! Different elements coming together and setting things in motion. A small frontier village, Chicago begins to change with the arrival of the first German brewers. A heated, boiling stew that, in Chicago's case, was rooted in anti-immigrant sentiment and resulted in civil conflict. A rapid growth and transformation. 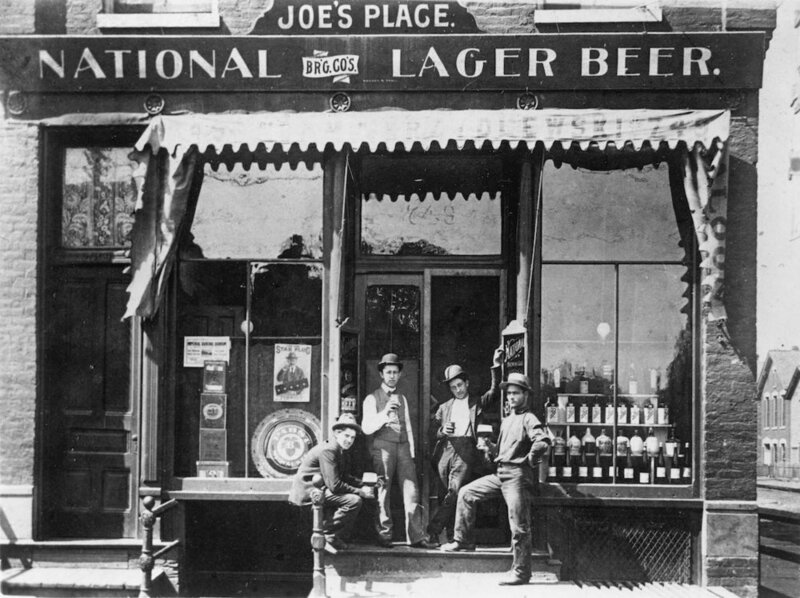 We explore how both immigrants and the brewing industry grew post Chicago Fire of 1871. Smooth integration of different elements into a cohesive, functional whole. Chicago, its immigrant community, and the beer industry are highlighted at the 1893 World’s Columbian Exposition.